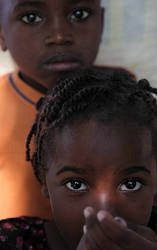 Life in Haiti-Canon 5D MKII & Glidetrack from Leclerc Brothers Motion Pictures on Vimeo. Three months have passed since the earthquake in Haiti. As the Japanese domestic news channels have drastically reduced their coverage, we have organized the current topics of concern by collecting information through overseas media outlets and by continuous information exchange with global bloggers. Here, we conclude the situation at this time. 1. The prompt arrangements for housing and medical supplies are in need as the monsoon season approaches. 2. Deprived children are in need of long term healthcare and education. As you are aware, Haiti’s massive earthquake struck the capital, destroying the already fragile (was receiving aid from the UN) government. The UN too is taking time to recover order. Currently, the most support is coming from the medical support provided by NGOs of various countries and by the U.S. army who quickly positioned themselves in Haiti. Haiti is coming upon its monsoon season, and currently the supply of temporary housing such as tents are not sufficient. If the rainy season is to come as is, the victims will face grave challenges in hygiene and sanitation. This is a concern of upmost urgency and the world is called upon to act. In addition, we also need to think about the support needed for Haiti to embark on its reconstruction in order to improve the standard of life of its people. We estimate at least a half century will be needed to secure the infrastructures for its future. There are a lot of countries besides Haiti which need support. Yet, we are worried that Haiti is now facing especially severe and urgent circumstances and that it will forever affect the children’s future. We would like to discuss about this activity with you. Any ideas, however outspoken, are welcome. Also, we need people who can translate this message into other languages. Thank you for your cooperation! "Campaign for Children in HAITI"